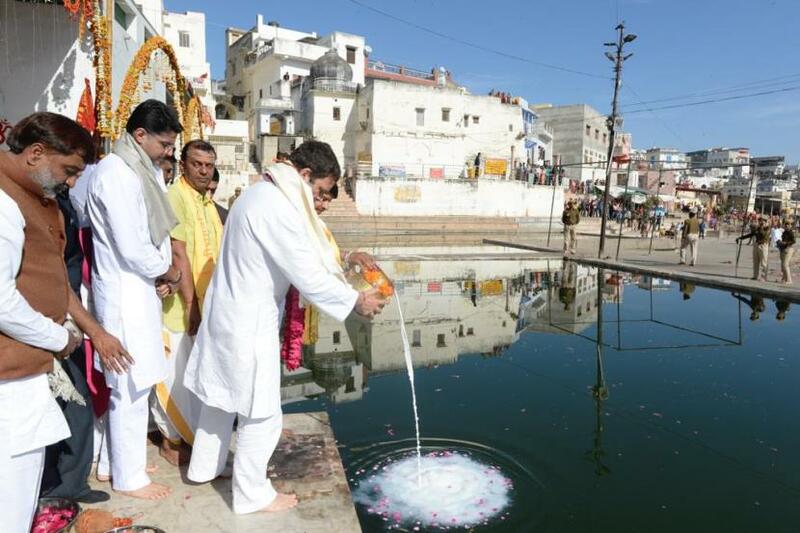 PUSHKAR: Congress president Rahul Gandhi during his visit to famous Brahma temple here offered 'puja' and also revealed his 'gotra' as Kashmiri Kaul Brahmin, the priest of the temple said. The priest said, "Rahul Gandhi came to the temple to perform 'puja.' Motilal Nehru, Jawaharlal Nehru, Vijaylakhsmi Pandit, Indira Gandhi, Sanjay Gandhi, Maneka Gandhi and Sonia Gandhi are all Kashmiri Pandits." A similar trivia about Rahul Gandhi had surfaced ahead of Gujarat assembly elections in the wake of his frequent temple visits in the state, when he revealed that he is not only a Hindu but a 'Janeu Dhari Hindu,' one who wears a sacred thread.